It’s been tragic news confirmed by Godolphin that veteran stayer Cavalryman has died. The nine year old sustained a leg fracture in a race at Meydan last night. It is a great shame and very sad to lose this great warrior. It’s the cruelty of our otherwise wonderful sport. Cavalryman was a star of the turf, a multiple Group winner around the world. His unique late burst of speed was something special. A stayer with a turn of foot. That’s what he was and will be remembered for. 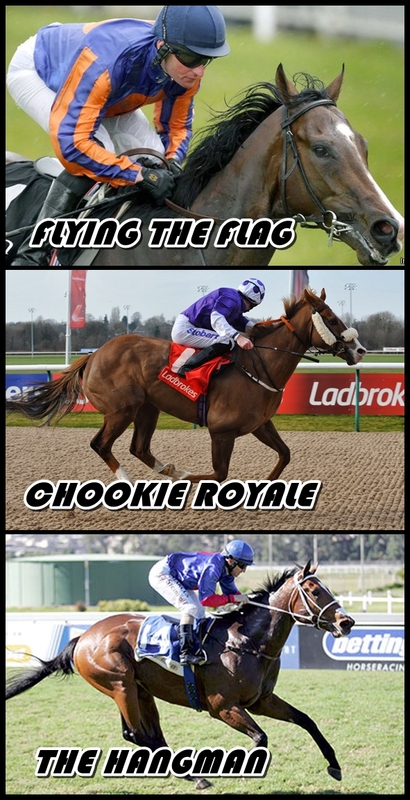 Cavalryman: Six seasons on the track, 39 races, 10 wins, six in Group company, one Group 1. The 2013 Champion 2 year old Kochka is on his way to find back to his old best after a long injury lay-off. His comeback run over 1.200m earlier this month was excellent given his break of 18 month. He finished a fine runner-up and badly needed the outing, according to his trainer. Kochka won back summer 2013 the big Grade 1 Champion Stakes and surly has bigger targets on his mind this season than an ordinary Graduation Plate, also he’ll soon step up in trip to a mile again I suspect. But on his second run, he should have way to much for this lot even over this sprint trip, given the improvement one would expect. from run to run. Even if he may not quit yet be as good as his 105 rating, he is meeting some mid-70 rated individuals here, with one exception, of 88 rated Nineteen Fourteen. He’s a decent handicapper & consistent but only one win in 16 starts which came in maiden company, means he shouldn’t have enough on the plate to be a real threat to Kochka. Kochka is rightly the odds-on favourite, however he is not short enough with Sportingbet, and is a 1/2 chance on my tissue, therefore I think this price is actually quite generous. A Fast-Track-Qualifier for Good Friday with another progressive Godolphin Handicapper at the head of the market. Gold Trail won his last three and warrants plenty of respect, however he tries this marathon trip for the first time and there are doubts about his staying ability. It’s worth to take him. John Reel was equally progressive this winter and finished a fair third behind Gold Trail last time over 12f at Wolverhampton. He won over the marathon distance already and has a good chance to turn the form around with the favourite. Front-runner Double Discount may get away with a soft lead and that could help him to get the trip. Hard to know what to expect from Hurricane Higgins after a very long lay-off. On his old best he’d be a major player, but probably is best watched today. Also not sure what Triumphant is up to today. He gets the trip but was disappointing lately. Masterpaver finished a good second behind Gold Trail at Lingfield over 12f last month. He needs a stiffer test and the step up in trip should suit. Though 14f may be his optimum and 2m already too far. Leaves us with veteran Uramazin, who is surprisingly low mileage for a nine yea old. He won’t have an issue with the trip as he is a course and distance winner of a class 2 Handicap back in December here. He followed up nicely with an excellent second in a 2m Fast-Track Qualifier behind progressive Anglophile. He travelled super strongly but got first run and was simply the better horse. Uramazin is in clearly good nick right now and should be very competitive today. He looks overpriced in my eyes and may go much closer than the betting suggests. This looks a much more open contest than the the boys’ Guineas in my mind, with moire unexposed runners and plenty of guesswork to do. However we have a very good favourite at the head of the market with Same Jurisdiction. She was a top class juvenile, won a big Grade 1 last summer and had an excellent prep last month in Grade 3 company. She rates a worthy favourite, though the downside is her rather poor draw and the fact that she had bleeding problems in the past. A lack of run at this track also counts as a negative. She deserves to be favourite, however is too short in the betting in my mind. Progressive Smart Call was utterly impressive in her prep, though this here is much tougher today. If she can improve again, she is right up there with the best. So should be Sean Tarry’s Siren’s Call. A hardy filly, she finished a well respected 4th in the Dingaans and her prep win in a big sales race over shorter rates top form. If she stays the trip in a truly run race, she must be a big danger. 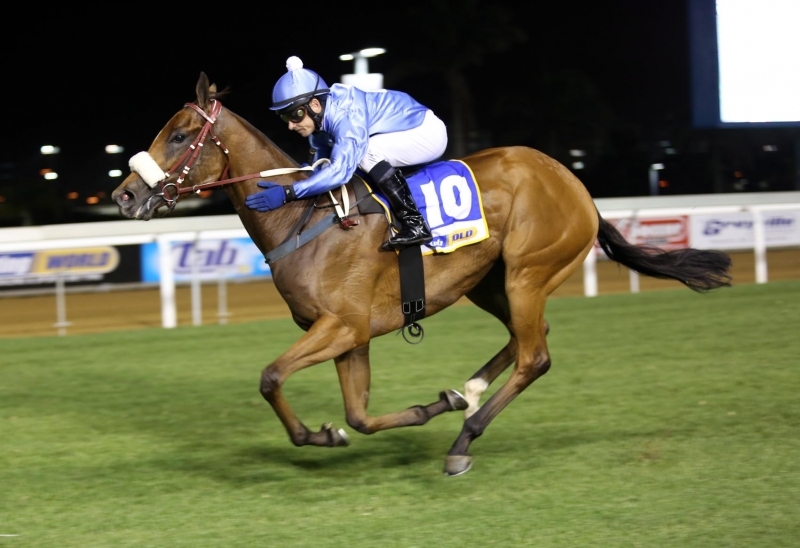 Never make the mistake to dismiss Turffontein top trainer Tarry’s second or even third string. His other runners Tamaanee and Bichette may be big prices in the betting today, but could spring easily a surprise. The former one the slightly more exposed already, has form over 1.600m and won against older. A good draw will help. She is an interesting price, though I restrict myself to one bet in this race and I’ve to admit that Bichette is the one that looks hugely overpriced here. She is very lightly raced, won over shorter a good handicap and performed well in her prep in Grade 3 company over 1.450m. She isn’t the quickest but is gutsy,very well bred and looks big with plenty of scope. Her pedigree points to a mile and the step up to this trip will certainly suit her, so should the testing standside track. She has a good draw and will probably use this to race in a handy position as she prefers to do. She won’t go down with a fight I suspect and while it remains to be seen if she can make the step up into this hot top level company, she has the right looks, pedigree and progressive form. From a betting point of view, Bichette is the underestimated runner in this field. Other fillies, like Grade 3 winner Sensible Lover or De Kock’s Pine Princess can’t be underestimated either. 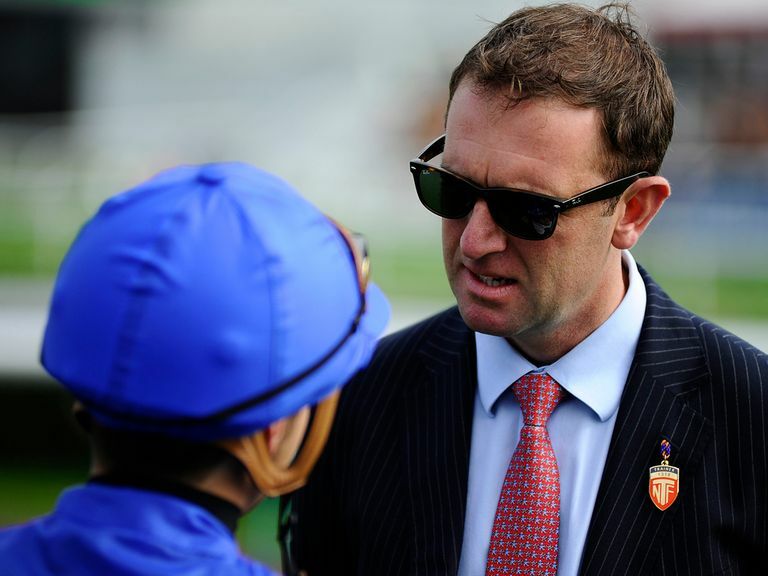 The fillies Guineas looks open, but very interesting and should provide spectacular action. 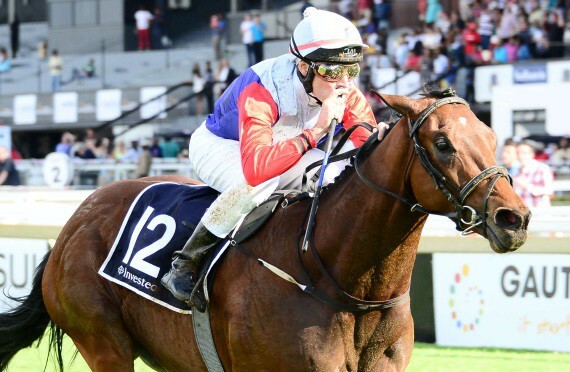 This yeas Gauteng Guineas shapes as quite an intriguing contest where some rather exposed and seasoned runners are going to meet a bunch of unexposed, fresh contenders. Fitness levels, stamina and class are question marks for most runners in the line-up though we have right on top of the queue two extremely classy individuals – I’m talking about Harry’s Sun and Unparalleled of course. They are standing head and shoulders above the rest of the field, which is clearly reflected by heir respective official ratings. Harry’s Sun interestingly has already Guineas form – he was a very respectable runner-up in the Cape Guineas behind top drawer Act Of War. Harry’s Sun was the leading two year old last season due to his success in the Grade 1 Champion Stakes. He followed up with another graded success however was subsequently beaten in the in the Dingaans in very convincing fashion by no one else than Unparalleled. One could argue that he didn’t run to form that day, but one could also say that the winner was simply the better horse. He was better in the mentioned runner-up effort in the Cape Guineas, which overall rounded up a highly successful season for Harry’s Sun. He hasn’t been seen since though, and the lack of a prep run must be considered a worry. It is obvious that the preparation for the big race didn’t got to plan, yet he is currently trading as the 11/4 favourite. We have to trust his fitness, though no doubt he has the class to be a big runner if fully fit. Harry’s Sun has the luxury of a generous draw, much in contrast to his *potentially* main rival Unparalleled. The Lateral son is literally drawn in the car park (18) and that could complicate things for obvious reasons. Nonetheless there is still plenty to like about his chance and a I’ve to admit that I’m a huge fan of his horse. I’m particularly fond of his excellent cruising speed and ability to produce an instant turn of foot. The draw is an issue, but he has a top jockey on board and he showed himself a very versatile runner if it comes to tactics. So more than anything in a race like this, it’ll count for allot to settle well and be relaxed in the early parts, as well as to get the 1.600m trip. All those things are ensured with Unparalleled. He has a proven track record, has been progressive towards the end of last season and has been able to make a successful transition from handicaps into graded company, culminating in his emphatic Dingaans (1m) triumph. What I like about Unparalleled is the fact that he had a two month break, came back and impressed in his prep run over slightly shorter (1.450m). He’ll be bang on for the Guineas. Mike De Kock has to be respected as always. He saddles two runners: Anjaal and Mutamakkin. The latter one should appreciate the trip and had a good prep run. He finished second behind Belong To Me and a neck in front to Unparalleled in the Grade 3 Tony Ruffel Stakes over 1.450m. More is required here around though, as he has much more weight to carry this time. His stable mate Anjaal was an excellent third in the Champion Stakes last year, however was slightly disappointing on his seasonal reappearance. He should strip fitter this time and has the potential to run really well in first time blinkers. Sean Tarry’s Zambezi River hasn’t done much wrong in his career. A lightly raced winner of three races, who found the Cape Guineas too hot, had a fine prep run over 1.200m in a big sales race recently. He looks more like a sprinter than a miler, though, and may find this trip too far once again. In contrast Tarry’s second runner French Navy would certainly appreciate a real stamina test. He has fair form over 1.800m lately and if they go a mad pace, he’d have a chance. Belong To Me was a fine Grade 3 winner recently, beating Unparalleled and Mutamakkin in a tight finish. The question is how much improvement has he left. Also the 1.450m trip of the recent was probably as far as he wants it. The booking of Anton Marcus for Precursor looks significant. The Captain Al son should be much better than his last two forms. He tries 1.600m for the first time, having only contested over sprinting trips. While he may have a fair chance to stay the trip on pedigree, it is much more a question mark if he’ll be able settle early on. The Captains Tune did well against older horses already and might be the pace angle here. if he gets an easy lead he could be dangerous. Normally he shouldn’t be good enough to win, though. Verdict: There are a couple of bigger prices in the field that could well improve and run very well. But given all we know, it is hard to look beyond the first two in the market. Harry’s Son is a classy individual and if he is fit, he’ll be right there when it matters. The lack of recent run is a concerning fact though. This could open the door for Unparalleled. I was very surprised to see a price as big as 11/2 available. Analysing the race this morning without knowing the prices, I thought he would be my selection if it is about the most likely, though knowing how obvious his claims are, he’l be probably a very short and unattractive price for me. To see him as big as he is, I believe it is way too big. I expected 5/2, and can’t let 11/2 go. Yes, he has to overcome the widest draw and that needs to be reflected in the price. Yet he has the best form to offer, had a perfect prep run, loves track and trip and looks a class act the way he is travelling as well as quickening in his races. The dark horses are the De Kock runners. Both could have more to offer and are interesting in their own right. Particularly Anjaal is intriguing. However his prep was utterly disappointing, despite the long lay-off you would have expected him to do better against a bunch of low grade handicappers. Nonetheless with first time handicappers, he is a horse that attracts me, but I can’t get over it to back him. So I gonna stick with Unparalleled in the hope he jumps well, settles well, is well positioned when the field turns for home and if so, I believe he’ll be very hard to stop. Godolphin’s progressive Dream Child is turned out quickly after failing by the narrowest of margins to get his head in front four days ago over 9.5f here at Wolverhampton. He got hampered that day over 1f out at a crucial stage of the race and as a result had to re-organize himself pretty quickly – which can be a difficult task for an inexperienced horse. He quickened nicely nonetheless and almost got there on the line. He travelled strongly throughout and followed up nicely on a hugely impressive success over 12f at Wolverhampton back in January. Dream Child is still lightly raced and the fact that he can race off the same mark today as four days ago, makes him a huge chance here. The step up in trip poses no problem whatsoever. He proved his stamina before. Judged on this latest performance, he should be a couple pounds higher rated and potentially goes all the way into pattern class after this in my mind. No doubt Dream Child is the most talented runner in this field. The main dangers are Noble Gift who’s holding his form well and he should run a good race once more. Luv You Whatever has excellent form and was able to translate his Southwell forms to the tapeta last time out. But has to overcome another hike in the mark, which means a career best is required. I’m usually not for the short favourites, but think in this case that Noble Child should be a good deal shorter. With Adam Kirby booked for the ride I hope he won’t meet trouble in-running this time and then he should simply have too much on the plate for the rest. WOW! What a week it has been – betting wise I mean! It’s a funny old game sometimes, isn’t it? Yes, It’s been a tough time for me in recent weeks if it comes to betting – I’ve been previewing races, shared my thoughts on tactics, analysed and assessed the chances of oh so many horses and was even bullish enough to published my selections here on a regular basis. But it just didn’t seem to happen for my selections. They either ran no race whatsoever, or – albeit only occasionally – hit the crossbar. Though getting the head in front when it really mattered? Nope, no way! But that must surly be the beauty of horse racing and particularly betting on this sport: Things can change so quickly! One or two winners and suddenly your back in the profit – even after suffering a long losing run! I encountered certainly a pretty gruelling losing run, indeed. 20! Yes, twenty losing selections on the bounce! That’s allot. However, I didn’t really think about too much and simply did my job. For me it is all about the value in the price and the profit in the long term. A losing run doesn’t mean that the bets haven’t been good. In fact 95% of all my bets placed this year are ones I would actually do again f I ‘d be in the same situation. I simply have to believe in my value. Sooner or later the winners would eventually fly in again. Otherwise it would be pointless, wouldn’t it? It’s about confidence in the own abilities and having the right mindset. I’m certainly not the best punter in the world. Nor would I claim to be a particularly great form analyst. But there are things I’m good in and I’ve got skills that enable me to turn my betting into profit – in the long term. That hasn’t been always the case in the past, but one has to learn from mistakes – or not?! In betting terms there can be quite costly mistakes. Though I believe I’m at a point where I learned from the past, and where know what I can do and also what doesn’t work for me. The believe in my skills ensured that I ‘knew’ the big winner is just around the corner. And so It happened – Finally, this week. Things kicked off with The Hangman in South Africa. A juicy 10/1 winner. It got even better with Flying The Flag at Meydan today, who landed a competitive Handicap at 7/1. The cherry on the cake was gutsy Chookie Royale who ran his rivals into the ground at Chelmsford and was a 13/2 selection this morning. Suddenly it’s all back in profit for the month! I usually don’t fancy “shorties” (which doesn’t mean I’d exclude them completely – far from it – you can find value in hot favourites as well) and most of my bets are in the price range of at least 5/1 and upwards. It’s absolutely normal to encounter losing streaks if you’re betting on these kind of prices. However if I have value – theoretically a bet with a better chance of winning than the odds suggest – then I’ll turn things into profit in the long term. It simply will happen. I say that without any arrogance, knowing how much I “invested into learning the game” over the years. But saying that with confidence, while knowing I do make this game pay. However, one thing is most important than anything else. First of all I’ll always be a fan of the sport!